The Municipal Home Rule Pilot Program has become a permanent program in West Virginia after S.B. 4 was signed into law by West Virginia Governor Jim Justice. The Home Rule program will allow municipalities in West Virginia to create revenue streams through the implementation of local sales taxes. The law allows municipalities to enact up to a one percent municipal sales and use tax. Municipalities that enact a sales tax would be required to remain consistent with the West Virginia’s sales tax laws and the West Virginia tax commissioner would collect sales tax on behalf of municipalities. Matthew Gonnella is a Junior Regulatory Counsel at Sovos. 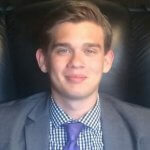 Matthew joined the Sovos team in 2019 and focuses his work on U.S. sales and use tax law. Matthew is a member of the Massachusetts Bar, has a B.A. from Saint Anselm College, and a J.D. from Suffolk University Law School.